HydraPak offers all the necessary elements for virtually every seal application. We deliver seal solutions to meet the needs of every customer in a vast array of industries including: heavy industrial, mining, manufacturing, high-tech, medical, military, precious metals, natural resource extraction, processing equipment and many more. 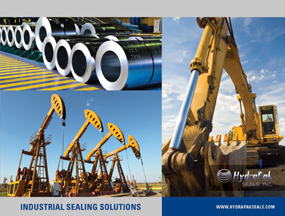 With our material knowledge, technological capabilities, and applications experience, HydraPak is able to offer customers both tailor-made solutions and complete sealing systems of the highest quality. Our team knows seals—we guarantee a reliable, informed contact every time you call. We give you the advantage with competitive pricing and quick order turnaround. 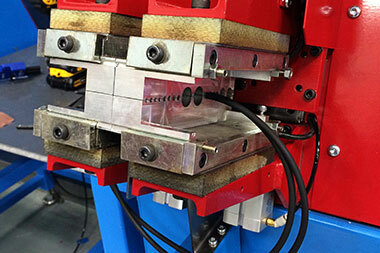 HydraPak specializes in custom engineered sealing solutions for numerous industries. Our innovative machine technology and experienced engineering team enable us to produce an unlimited number of seal profiles in sizes up to 98 inches in diameter. With turnaround time as short as same day, our custom machined Urethane, Viton, Engineered Plastics, HNBR, and Nitrile products meet the highest quality standards. Production systems are fast and efficient—keeping manufacturing and lead times to a minimum. 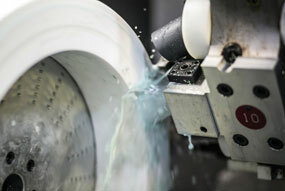 Our advanced machining centers allow you to choose from 115 standard profiles or unlimited custom designs. 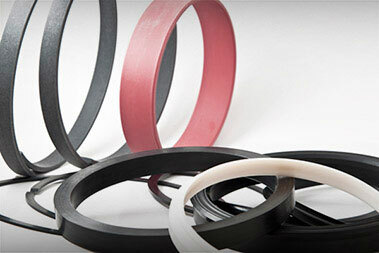 We manufacture seals up to 98 inches, with a turnaround time as short as same day. 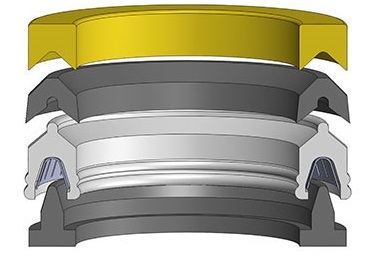 HydraPak's cutting edge vulcanizing technology produces high quality seals with large diameter capabilities for your demanding applications. Vulcanizing is an excellent solution for non-standard sized O-rings and seals delivering greater strength and tolerances. Custom designs and unique sizes are available in a variety of materials. With HydraPak you get the best vulcanized bond on the market for the best price. 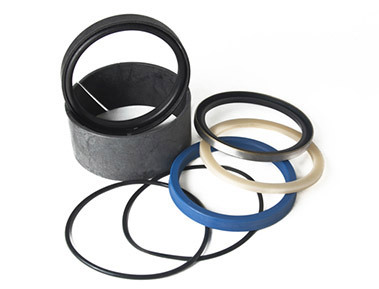 HydraPak stocks a substantial selection of hydraulic and pneumatic seals. We purchase quality inventory and meet stringent industry standards to provide the best available products. With one of most extensive inventories in the country, we are confident we can provide the seals you need. Standard and metric sizes are available in a variety of materials, ranging from urethanes and elastomers to engineered plastics. We continually source new and improved product lines, increasing our inventory to satisfy demand. 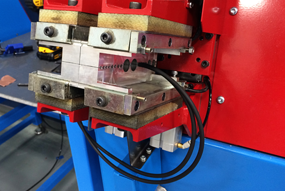 We enjoy the challenge of providing solutions to the most difficult seal applications. HydraPak offers a wide range of aftermarket seal kits. Our knowledgeable technicians will assemble complete kits based on a manufacturer’s serial or model numbers. If these identifying numbers are unavailable, we can reverse engineer a kit product to provide the parts you need. As we maintain a large inventory of major industrial and heavy equipment manufacturers, turnaround time for kit orders is as short as one day. All kits meet or exceed OEM specifications. 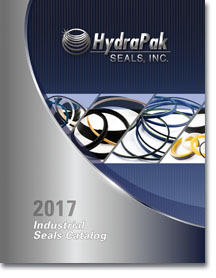 HydraPak’s Industrial Seals Catalog makes ordering parts easy. The catalog features thousands of parts with a seal profile index that will help you easily identify the seals you need. Profile sections include all the necessary material and engineering information as well as easily identifiable sizing. Our catalog is your uncomplicated resource for part ordering. Choose from 115 standard profiles or unlimited custom designs. We make seals up to 98 inches, with a turnaround time as short as same day. Request a quote online. 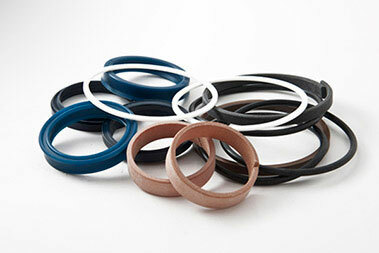 Large diameter seals in any custom profile; best vulcanized bond on the market, at the best price. Our newly designed Industrial Sealing Solutions brochures highlight industry specific products and materials.